There is an old saying, “a tired dog is a happy dog” that I think is a little misleading. I feel that influences like this, plus pet companies that try to sell us the latest new and exciting toy to drain your dog’s energy and not to mention a mantra that is popular on TV to this day “exercise, discipline and affection” is leading to, and in many cases has already lead to dogs being run into the ground and exhausted on a daily basis which is having a big detrimental affect on dog behaviour across Sydney and perhaps further. A physically and mentally exhausted dog is unpredictable, irrational and running on empty, I would expect their behaviour to mirror this. I work with dog behaviour across Sydney and in most of the dogs we work with on behavioural issues one of the first things I hear from the client is “we don’t understand, we walk them all of the time” followed closely by “how do they still have so much energy” What I have learned is that trying to keep up with a dog that has that much energetic, the dog is usually compulsive and cannot switch off which is a mental issue, not a physical one. You won’t keep up with them physically, so do not try. The definition of exercise is: activity requiring physical effort, carried out to sustain or improve health and fitness. Dogs do not exercise!!! It is a man-made idea that we impose on our dogs. Nine times out of ten, dogs will take the easy option, they will choose the shortest route, they will cut corners. They don’t have weight complexes or try to maintain their fitness. Yes, exercise can be beneficial for some dogs, but we should be clear as to what it is and what its limitations are in fixing life’s problems. It is not going to make them more social, it is not going to cure anxiety and if done too much is going to physically and emotionally exhaust your dog. If we left dogs to live their best life, it would look a lot like a cat. Dog’s require 18 hours a day sleep, and so that’s where they would be most of their lives. When they wake up, they would live very simple lives consisting of interacting with friends and family members, grooming each other and sometimes playing. When travelling, either on their own or with their friends and family they would be constantly information seeking, sniffing for scents left by others, watching and listening to their environment. For food, again they will take the easiest option, prey drive has been bred out of so many of our dogs these days and so scavenging is easier and more rewarding for less work. If the opportunity to chase something to eat came up, they’ll take it, and this is where they would run… for all of a few seconds until they caught it or gave it up. Its easy to forget that dogs are still animals and that unfamiliar things are likely to be deemed threats until they can be sure otherwise. If they came across an unfamiliar dog they would seek information from it, are they threat or are they a friend and from there the interaction will go one way or another. That might be about it for a natural dog’s life, especially our pet dogs who are de-sexed and no longer have the need to find or fight for a mate. Then if we look at the lives of our pet dogs when we control the pace and amount that they are exposed to. We are constantly being told to provide more for our dog’s, but we forget how much life in general throws at our dogs and how little they can understand. Dogs have the cognitive thinking ability of an 18 month to 24-month-old child. Their understanding of the human world is minimal, and the world is a very different place than it was 20 years ago. The amount of stimulation – information – there is right outside our front doors is so much more, there are more people, cars, buses, cats and so many more dogs!! Taking our dogs outside can be enough to overstimulate them, but then we try to get them to run. So many of us are forcing our dogs outside and then forcing them to run around, their minds are flooded with information and running on adrenaline which is a recipe for disaster. In our previous blog on dog park etiquette, we talked about balls In dog parks, we have people throwing balls for their dogs because they feel the need to exhaust them, if that ball is the centre of the dogs world it is not being social, it is not calm and it is not enjoying it, we are feeding an addict one last hit and then wonder why there is conflict when another dog tries to take it from them. Ball throwing when the dog is coherent and playing can be great but two or three throws per day is more than an average dog would run naturally. Beyond this, if your dog cannot switch off, it could be compulsion and not play at all, in these situations I recommend removing balls from their life all together, we wouldn’t give an addict one last drug hit because they “love it so much” would we? Forcing a dog to run after what it is addicted to is cruel and unfair on the dog, it causes desperation and stress every time it is thrown. The mindset of these dogs that are running around after their balls is not a sustainable one, it still spikes their adrenaline which will leave the dog with these daily massive highs, followed by massive lows. On footpaths, we are walking our dogs head on into other people and dogs all the time. Footpaths are horrendous inventions in a dog’s mind. In their world, it can be rude and confrontational to walk head on towards each other. When we see someone with their dog walking towards us down a footpath, we understand that this is normal because if they walked on the road they would get run over. But dogs do not know what footpaths or roads purposes are, so they will be thinking “there is all of that room over there, why are you walking straight at me?” this can be confronting. If we combine this with putting a leash on a dog, we are then removing the option of flight or avoidance which can result in learned helplessness or even barking and growling to drive the perceived threat away. As mentioned before, the streets are full of stimulating things and flood dogs with so much information that they panic. Most of the dogs that we work with for pulling on the leash are not pulling because they are happy and trying to get somewhere, they are literally so scared of where they are, they are running away – they are in flight. Their walk on leash consists of running to the end of the leash and trying to escape until they come across a tree, sniff it frantically and then run away again. It would be the equivalent of walking around a foreign country, where the road signs are in an unfamiliar language, we don’t know where to cross the roads and nobody is willing to help you with directions. It would be super stressful, and I know that I would not be able to do it without someone to walk me through it, keep me calm and communicate with me what we need to do to stay safe. We take these dogs that are so amped up, with their overstimulated minds meaning their ability to read information and react calmly is very low, into social settings such as dog parks and busy areas and then want them to behave in a socially acceptable manner. The dogs brain responds to stress the same way as our human brains chemically. Adrenaline and cortisol levels build and build until they can no longer cope. If we overstimulate our dogs every day, the result is prolonged exposure to high cortisol levels which in turn damages the hippocampus in the brain. This affects their ability to learn and retain new information, meaning they literally struggle to learn new things. So, by the time we have had the call to come and help the dog that has behavioural issues. Sniffing the scents on the ground and on the trees, interacting with others and thinking about their actions will tire a dog out. Walking them on a normal footpath and keeping them calm, allowing them to complete natural dog behaviours in parks will drain their energy. We do not need them to run to be tired and we certainly should not be overstimulating them in social settings and expecting them to be well behaved. I look at it like if I saw a human equivalent in the park or on the street, would I want to approach them, or do they look so fired up I would want to avoid them all together. If I am taking my dog out, I want him to be approachable and calm and that comes from looking after his mind not his body. When taking your dog out in public, think about how much information they are having to take on at every given moment and are they in a frame of mind that can absorb that information and process it calmly. Concentrate on building your relationship with your dog, allow them to sniff and forage and complete natural dog behaviours rather than forcing them to run. Thinking drains more energy than walking and running. If we aim to tire out our dogs mentally through problem solving, communicating with them and calm exposure we will have dogs that are well balanced, comfortable and carrying a lot less stress. These dogs will have far fewer problem behaviours and while I may eventually put myself out of the job by sharing this information it will have been worth it because the dog’s welfare will be truly looked after. We believe that most people, get pet dogs to improve their lives and to create a happy life for their dogs. With that in mind, we should be aiming to look after our dog’s mental health and in general a lot of improvements can be made towards this from dog owners. Engage their brains, interact with them in a manner that allows them to think. Encourage them to learn what you are saying by rewarding them for this. Exercise for a dog can be looked at in many different ways but we should be looking after our dogs’ brains so much more; their bodies take care of themselves with good food some gentle movement and migration with the odd play with friends but its their brains that break down and cause problems. 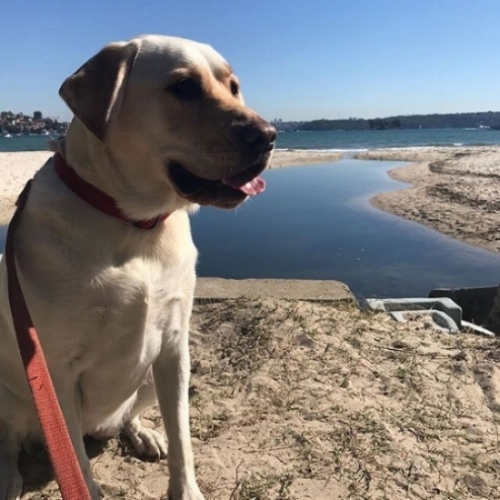 Behavioural issues is the biggest reasons dogs get put to sleep in Australia and the average age of dogs across the country is just three years old. This is something that must be addressed, and a culture change in ownership is going to be required.